No woman should suffer a life of isolation and misery simply for trying to bring a child into this world. 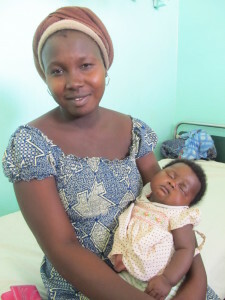 That’s why Fistula Foundation is dedicated to treating obstetric fistula, a childbirth injury caused by prolonged, unrelieved obstructed labor in countries where women too often give birth at home, without access to trained medical help. Obstetric fistula renders a woman incontinent, which can ruin her life: her husband too often leaves and her community too often abandons her because they cannot stand her smell. Since 2009, we’ve funded more than 10,000 fistula repair surgeries for women who are suffering in 28 countries throughout sub-Saharan Africa and Southeast Asia. These surgeries cost as little as $450 on average, and can restore a woman to complete continence and health, transforming her life forever. Learn more about how you can help give a woman a new life at fistulafoundation.org.